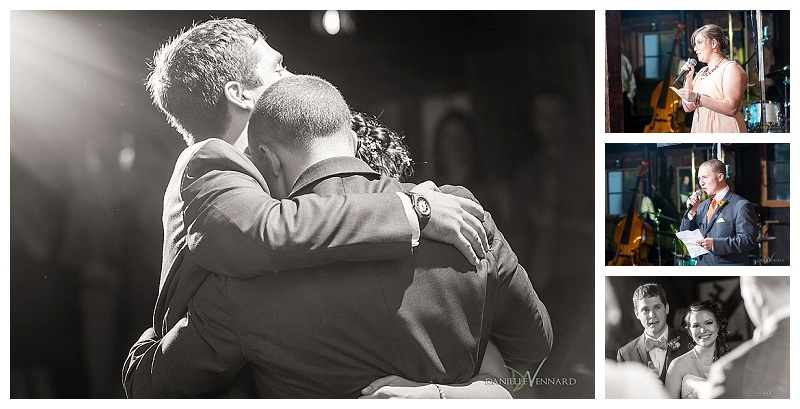 To say I was looking forward to Maggie and Dan’s wedding is an understatement. They are truly great family friends. Maggie and I were introduced by our friend Ray at our local rock climbing gym, The Delaware Rock Gym. She and I instantly hit it off since we climb at the same level, allowing us to work the same rock climbing problems together. When we took a break from our workout we chatted about our work outside the gym. She too is a photographer. I invited her to join my local photographer’s group, Better Together Newark. At our next meeting, I was introduced to her boyfriend (at the time), Dan. From there we took some weekend climbing trips together, which turned into mountain biking adventures when the weather got too hot to be out on the rocks. Maggie was a nanny to a little boy (who would later become the ring bearer in their wedding) and we would plan play dates during the week with my son. 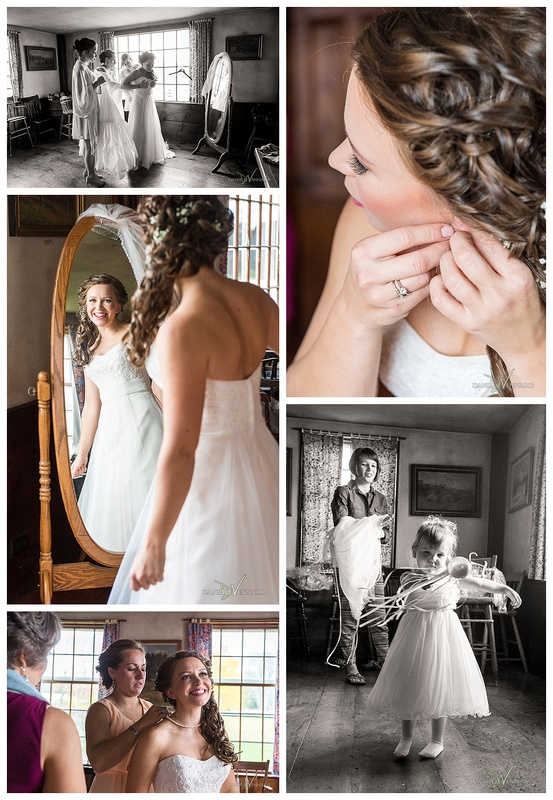 Naturally, I eventually asked Maggie to help me shoot some weddings. 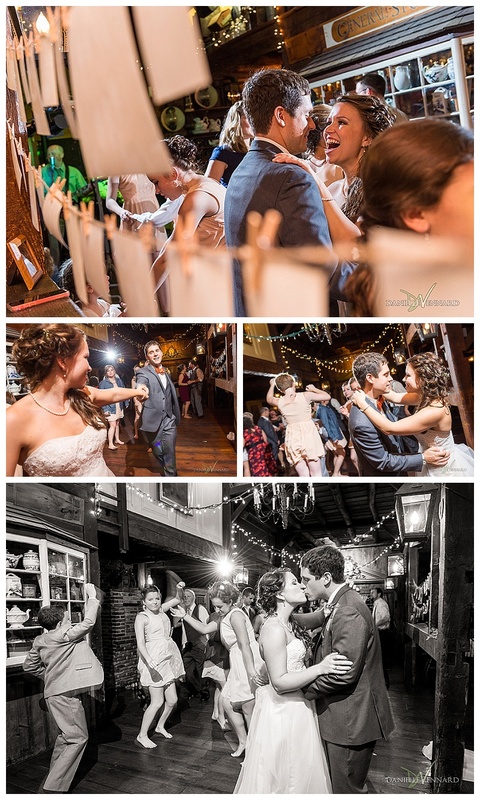 (Here are a couple of the weddings she second shot with me: Nicole + Harry and Kaileigh + Dan). She got to know the photography I produced, my work ethic, methods of documentation and my style of wedding photojournalism. Fast forward to August of 2013 as Dan proposes on the beaches of Cape Cod, a very memorable and meaningful place for the two of them. Next step is ultimately planning the wedding from Newark, Delaware…to take place in Brookfield, Massachusetts, the area in which they both grew up. 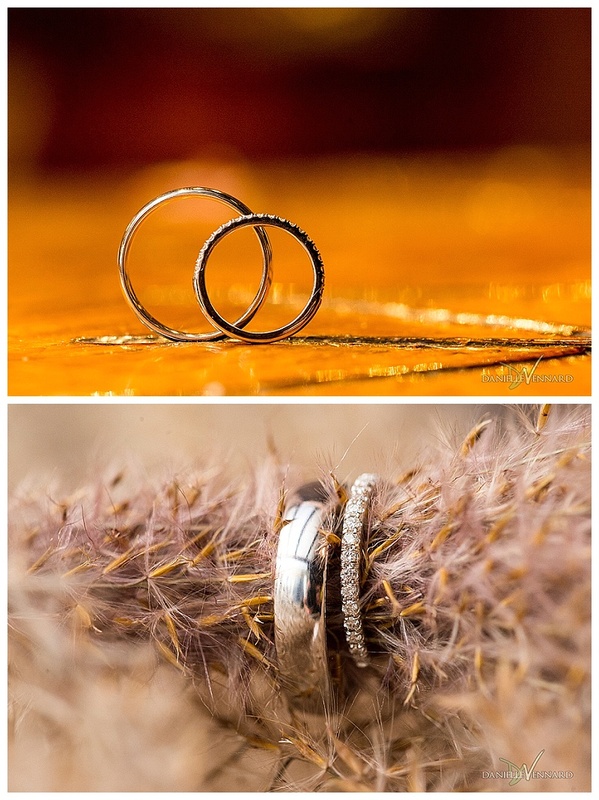 I was speechless when they came to me and asked if I would photograph their wedding. I was also a bit nervous as Maggie is a great photographer and the pressure was on to produce the best set of wedding photos I could as a friend and as a professional. My anxiety was relieved when they explained how much they loved my work and they were confident I was the right choice for them. 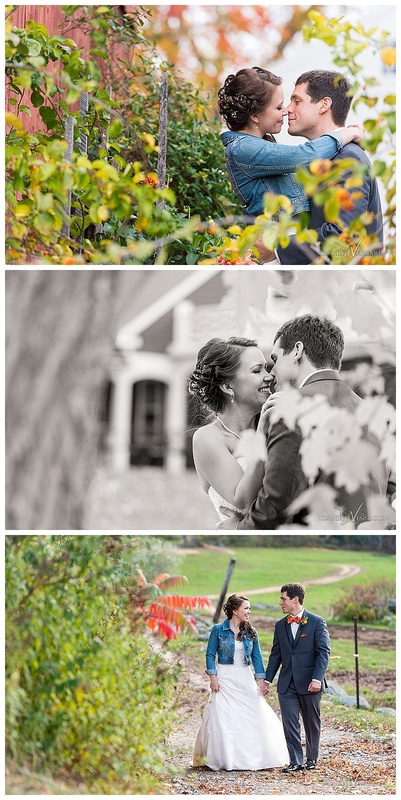 Their momentous day took place on Sunday October 19, 2014, exactly the peak of the fall foliage season in New England. My husband made the trip to Massachusetts with me the Friday before the big day. 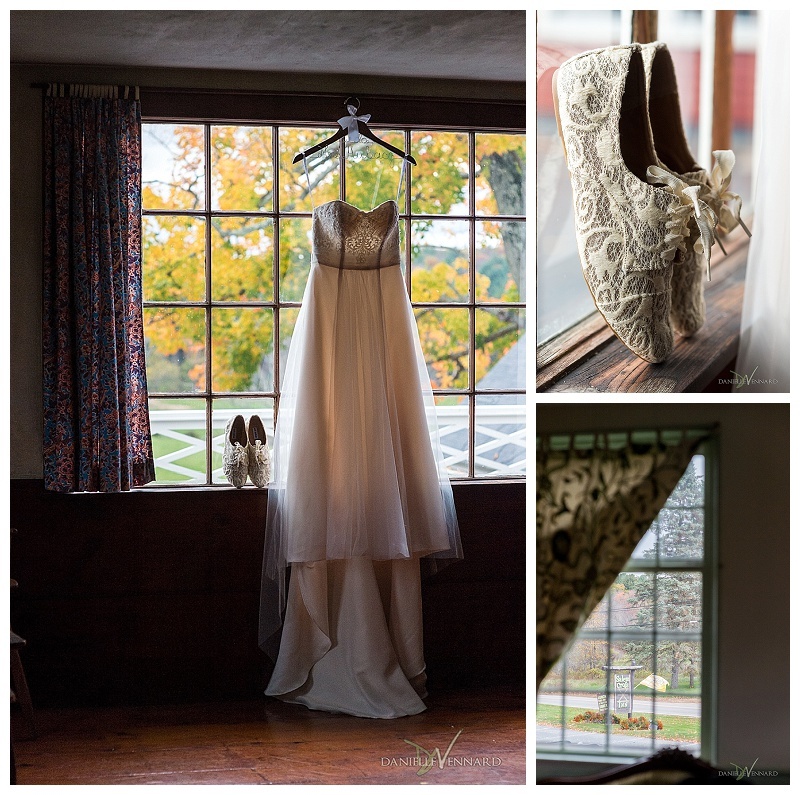 As I do with every client, it was important for me to attend Maggie and Dan’s rehearsal at the Salem Cross Inn, an 18th century farmhouse beautifully restored into a restaurant and tavern. This gave me a chance to meet the families, map out interior logistics, and scout outside for portrait locations. Witnessing the rehearsal, locking in my camera settings, and understanding the chain of events was very helpful in this case as the ceremony location was unpredictably moved indoors due to a little bit of precipitation and cooler than normal temperature. Following the rehearsal we were invited to attend the dinner held at Dan’s parent’s house. 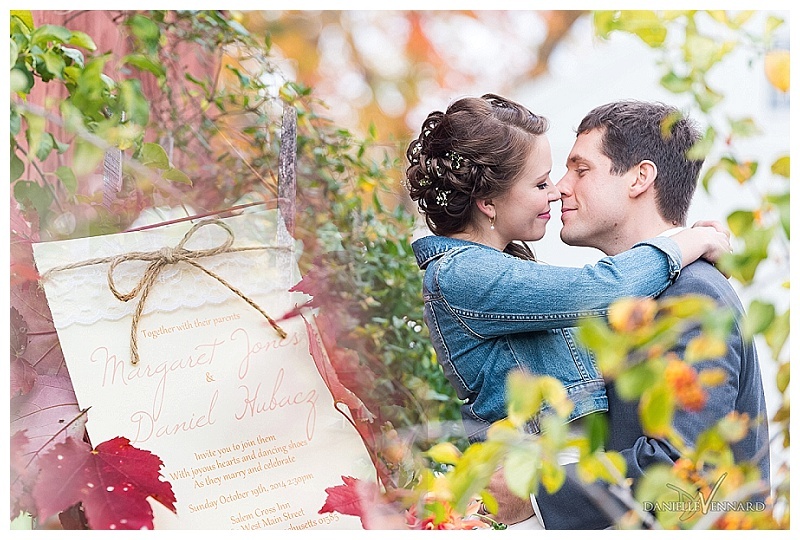 I was glad I didn’t put my camera away because the rainy sky opened up to a beautiful double rainbow which gave me an opportunity to get this cool portrait of Maggie and Dan with the rainbow peaking through the fall foliage. 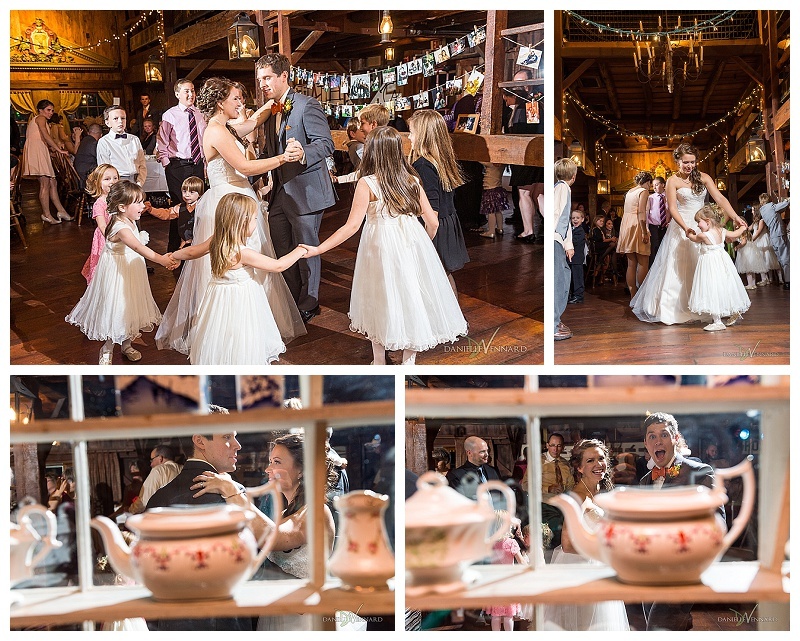 The Salem Cross Inn was a spectacular space for Maggie and Dan’s wedding. 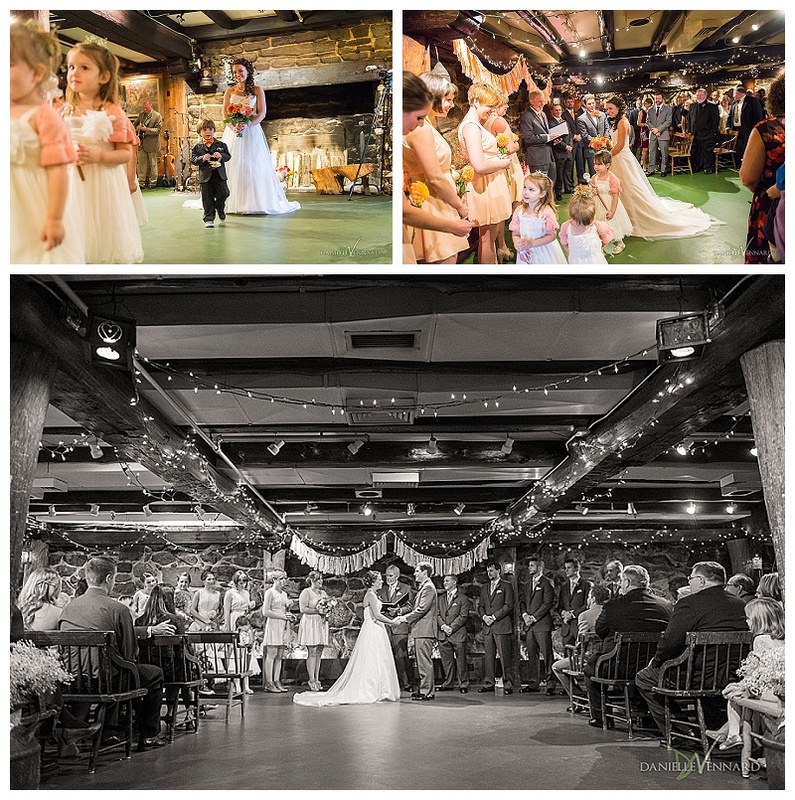 The barn interior fit very well with the overall rustic feel of the wedding. I really appreciate wedding spaces that are one of a kind since they tend to ignite my creative eye for unique imagery. 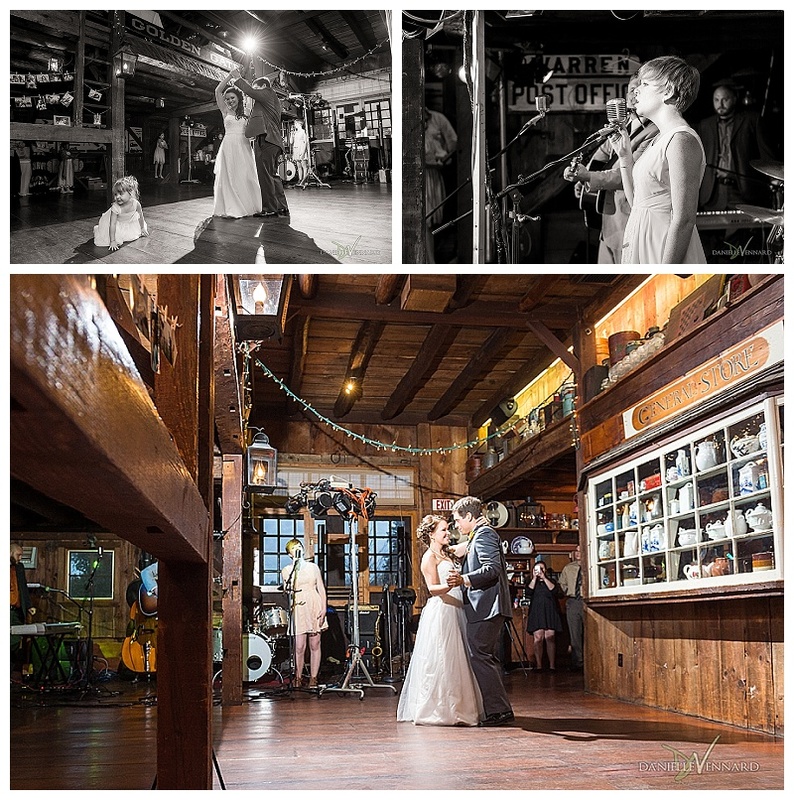 One of the biggest parts of Maggie and Dan’s day was to entertain the guests with a live band. They chose a band called The Bad Tickers. These guys were awesome! I always enjoy live music at weddings and this band was one of the best I’ve seen. Maggie’s sister, Glenna, even grabbed the microphone to sing a couple of songs including providing vocals to Maggie and Dan’s very special first dance, The Wedding Song by Angus and Julia Stone. Near the end of the night Dan’s cousin, Zack, joined in with Glenna on the guitar for a couple of songs. Kudos to the band for sharing the stage, allowing the family to display their talents, and creating one of a kind memories. Hats off to The Bad Tickers! The big day has come and gone, thankfully without any snags or snafoos, leaving us all with wonderful memories and some spectacular photographic images. 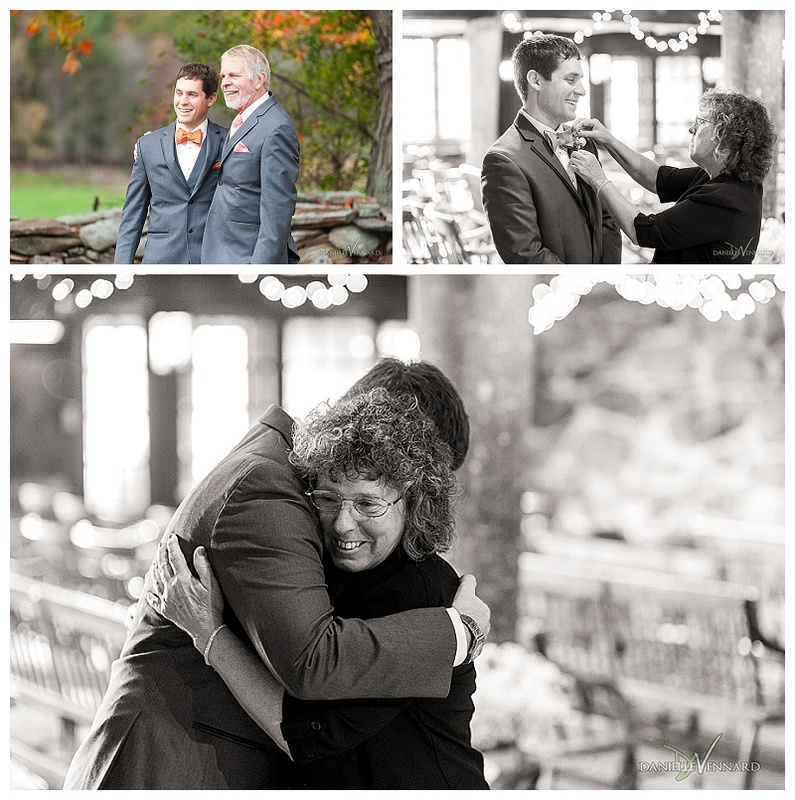 I am utterly grateful to Maggie and Dan for their trust in me to document their most precious moments on their Wedding Day. For close friends to have chosen me as their wedding photographer was the biggest compliment to my life’s work that anyone could give me. Thank you Maggie and Dan. Also, a very special thank you to my husband, Dann, for making the trip north to assist me. 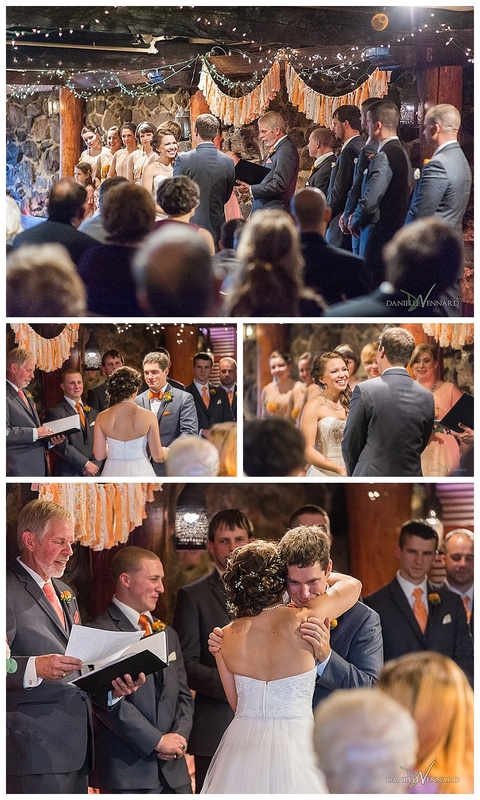 Without further ado, I present a selection of images that best showcases the story of Maggie and Dan’s Wedding Day. 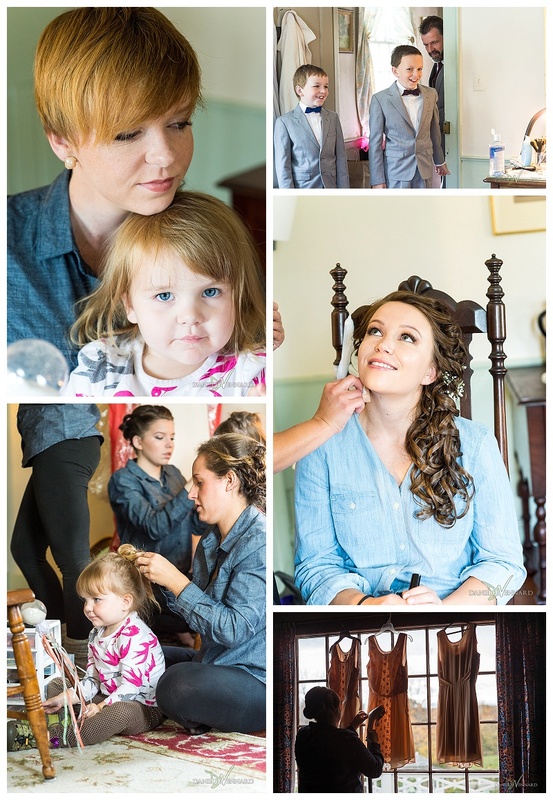 Can’t forget the other pros who helped bring Maggie and Dan’s wedding together. ~ by DanielleVennard on April 29, 2015.